They train you and your team for the challenging job of an underwriter - with a new edition coming out annually. This year’s edition provides risk professionals with the guidelines to set up a solid Merchant Monitoring Framework in compliance with Enhanced Due Diligence (EDD) requirements as imposed by legal authorities and the card associations. The previous three editions of this series focused on KYC-CDD procedures, explored specific fraud scenarios such as Transaction Laundering and zoomed in on (hidden) high-risk business types. 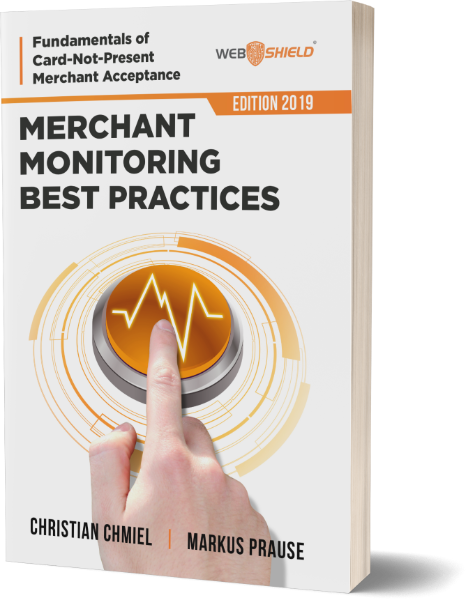 ‘Fundamentals of Merchant Acquiring edition 2019’ explores the seven fundamental monitoring areas, their associated risk indicators and recommended alerts configuration. Depending on the merchant’s risk profile and on the priority of the alerts, immediate action has to be taken to prevent reputational and financial risk. Transaction Monitoring, Financial Monitoring and AML Monitoring are the cornerstones on which Reputation Monitoring, Content Monitoring and Transaction Laundering are built, while Regulatory Monitoring is the cement that holds the blocks together. This robust framework consists of almost thirty monitoring areas which are discussed into great detail. Card associations have enforced BRAM and GBPP programs, testimony of the great importance of Content Monitoring. All financial institutions – which includes merchant acquirers – are liable and need to respect business standards to ensure legal compliance at all times. Technology evolves and Machine Learning and Risk Assessment with Neural Networks are promising allies in the battle against Fraud. Detecting fraudulent merchants is key, but what if the bona fide merchant is abused by transaction launderers? Once the merchant is approved and accepted the acquirer needs to subject its merchant portfolio to Enhanced Due Diligence. In the age of Fintech and RegTech, ‘wilful blindness’ is not an option and non-compliance can result in the revocation of the acquirer’s license. All stakeholders in the CNP payment value chain are obliged to guard and protect the financial and reputational integrity of the payments industry. This book aims to contribute to this common goal. The authors of this series are risk experts in merchant acquiring and speakers at international risk and compliance conferences. The rise of e-commerce presents tremendous business opportunities to reach out to markets, way beyond merchants’ domestic footprint. As online retail and e-travel is booming, new business types have emerged that profit from cross-border e-commerce. E-shoppers pay with credit cards or through alternative payment methods. Due to their relative anonymity, Card-Not-Present (CNP) Payments are more vulnerable to fraud. Card organisations keep track of recent developments and regulators are forced to adapt ongoing Due Diligence procedures, in order to mitigate increased risk. Business types are assessed, categorized and coded and their subsequent risk level is extremely relevant for the merchant acquiring business. Risk professionals and underwriters work under high pressure. 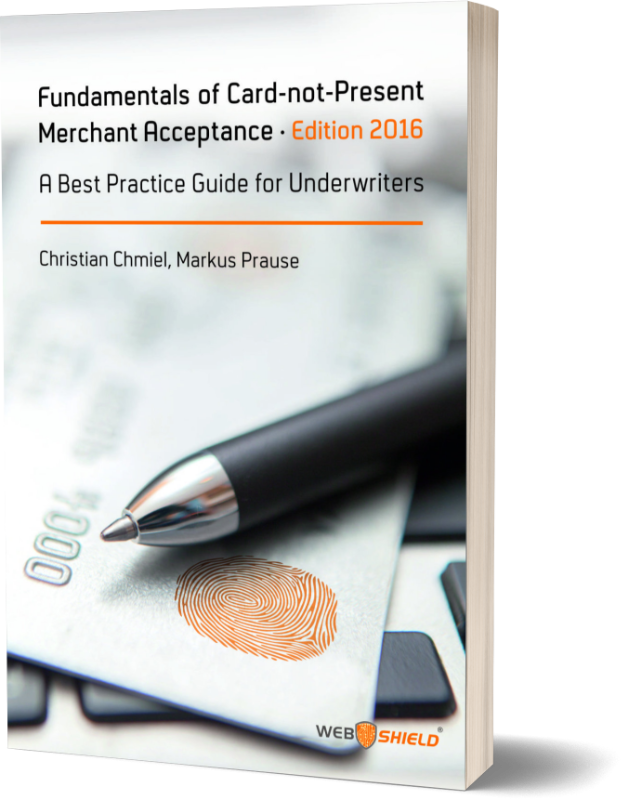 The 2018 Edition of the “Fundamentals of Card-Not-Present Merchant Acquiring” provides underwriters and risk professionals with guidelines and investigation techniques when on boarding merchants, engaged in “high-risk” or “hidden high-risk” business. 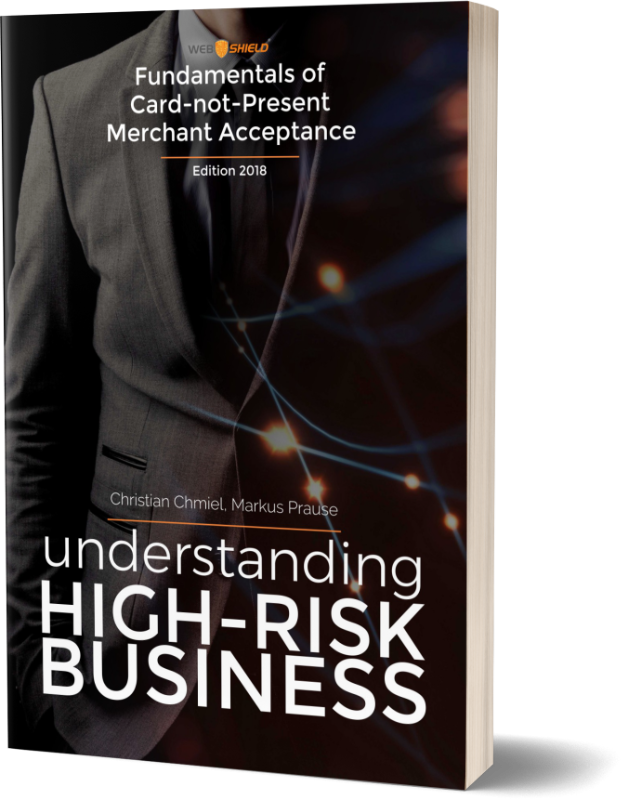 This guide explores a variety of risk indicators that need to be identified and researched, before accepting both high-risk business types as identified by Visa and MasterCard and higher risk business types as identified by ‘brand protection compliance programs’ (BRAM or GBPP). New business types, subsequent card scheme regulations, associated risk factors and on-boarding & monitoring recommendations are explained into detail. This book covers additional monitoring procedures, including verification methods to analyse and detect associated risk. The Authors of this reference guide are industry Professionals, with extensive experience in the online Payments business. Whereas the previous edition offered Underwriters and Risk Professionals a basic Manual to identify, analyse and assess various Risk Indicators, this book zooms in on current Fraud Scenarios. It provides the reader with a complete investigative methodology, including tools to detect,analyse and prevent fraud, from pre-onboarding up to the final decision to decline or accept a merchant. The reader is also provided with a detailed examination of Transaction Laundering and malicious forms of Aggregation. Underwriters are the first line of defence in the corporate security of CNP payments and Merchant Acquiring. With this Book, the Authors hope to contribute to the protection of Financial Institutions,Card Processors, Merchant Acquirers and Merchants against avoidable financial loss and reputational damage. Even more experienced Risk professionals will find this book useful. As international e-Commerce thrives and e-Payment volume rises, so does cybercrime. Credit cards are still #1 CNP payment method worldwide and form an attractive target for fraudsters, involved in financial crime. Financial Institutions are forced to adapt their Due Diligence procedures, in order to be legally compliant and to mitigate risk. Criminals have shifted their “modus operandus” and are increasingly using web shops to commit large-scale fraud. Card fraud, committed by malicious online merchants, has become a growing threat to Acquiring Banks and payment service providers (PSP) and has led to reputational damage, financial losses and fines from the card organizations. The Authors of this Best Practice Guide are Industry Experts, with extensive experience in the online Payment Industry, resulting in a practical manual for professionals in Risk Management departments of e-Payments facilitators. The various chapters in this Guide, explain the different Fraud Scenarios and zoom in on recent Fraud cases. 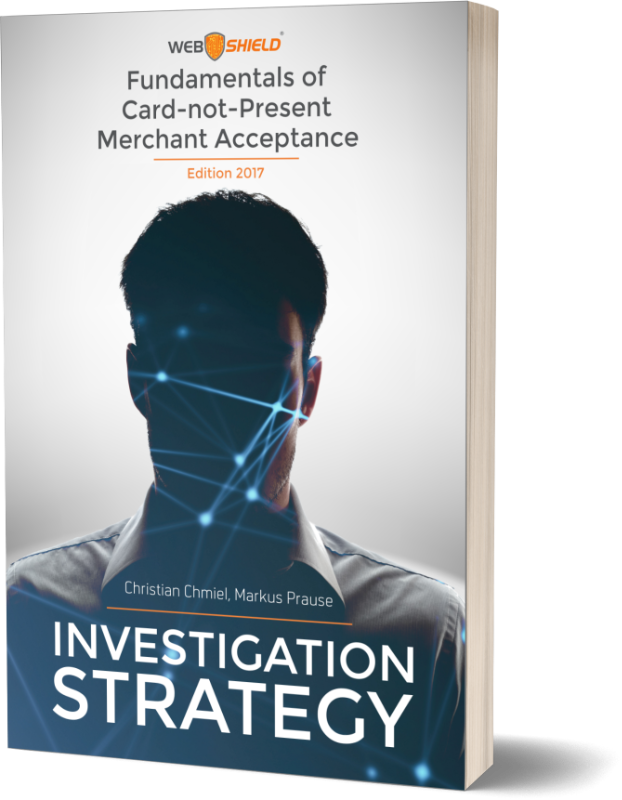 The various analytical tools and investigative methodology available to detect, analyse and prevent fraud before merchant acceptance are highlighted. Fundamentals of Due Diligence processes and KYC screening procedures are outlined, including all crucial steps during the EDD on-boarding phase. Underwriters and Risk Managers in the Payment Acquiring business will find this book very useful, as it provides added value and expertise necessary to protect financial institution against financial loss, avoidable chargebacks and reputational damage; expertise which is crucial for all stakeholders involved in profitable cross-border e-commerce. 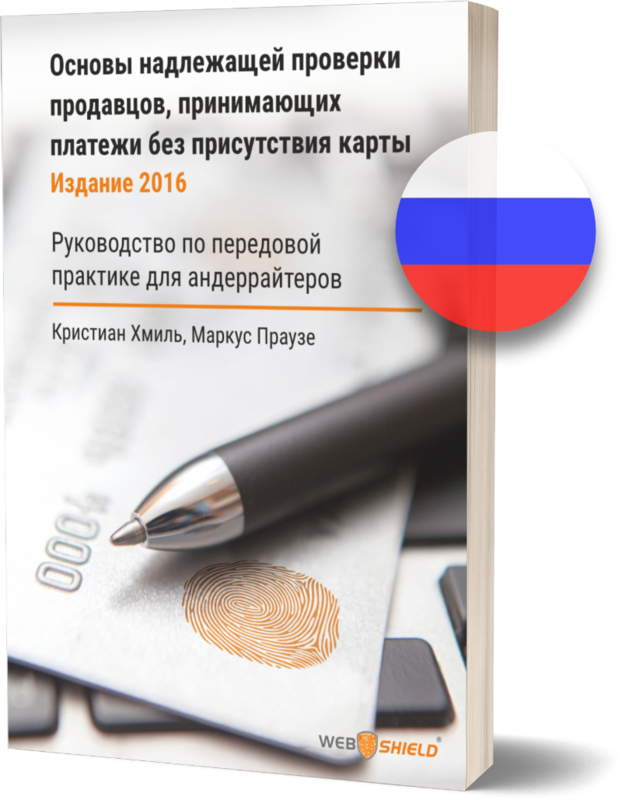 This is the Russian language version of our original Best Practice Guide for Underwriters. По мере бурного развития международной электронной коммерции растет объем онлайн-платежей с использованием банковских карт. Электронная коммерция стала «золотым дном» не только для всех участников экосистемы онлайн-платежей, но также для мошенников и киберпреступников. Финансовые институты были вынуждены пересматривать свои стандарты управления рисками, чтобы уменьшить опасность, исходящую от нечистых на руку владельцев кредитных карт. В ответ на это финансовые преступники сменили тактику и всё более активно используют веб-магазины в мошеннических целях. Мошенничество с кредитными картами, совершаемое недобросовестными онлайн-продавцами, является растущей угрозой как для карточных ассоциаций, так и для банков-эквайеров, которые сотрудничают с поставщиками платежных услуг в Интернете в целях упрощения электронных платежей для продавцов. Авторы данного Руководства по передовой практике, являющиеся отраслевыми экспертами с многолетним опытом в области электронной индустрии платежных карт, разработали практическое руководство для андеррайтеров и всех специалистов, занятых в командах по управлению рисками в финансовых институтах и организациях, оказывающих платежные услуги. Главы данной книги освещают различные сценарии мошенничества и подробно рассматривают аналитические инструменты и методы расследования для выявления, анализа и предотвращения киберпреступлений до принятия продавцов на обслуживание. Авторы объясняют основы стандартного процесса надлежащей проверки (Due Diligence), а также процесс KYC скрининга, уделяя особое внимание различным видам риска, которыми необходимо управлять на стадии сопровождения новых клиентов. Данное Руководство привлечет наибольшее внимание андеррайтеров и риск менеджеров, занятых в области эквайринга электронных платежей, предоставляя необходимые рекомендации для защиты финансовых учреждений от финансовых убытков, а также репутационного ущерба, которые можно избежать. Это бесценный опыт для всех заинтересованных организаций, вовлеченных в платежные операции в области прибыльной электронной коммерции. Join the Web Shield Academy for hands-on lessons.